Overview: He is the handsome Tim Karat, the CEO of a major gold mining company. His alter-ego is Goldenman, a Superhero wearing a custom made mechanical golden armor. His assistant Lisa Lode is the only other person who knows his secret identity. 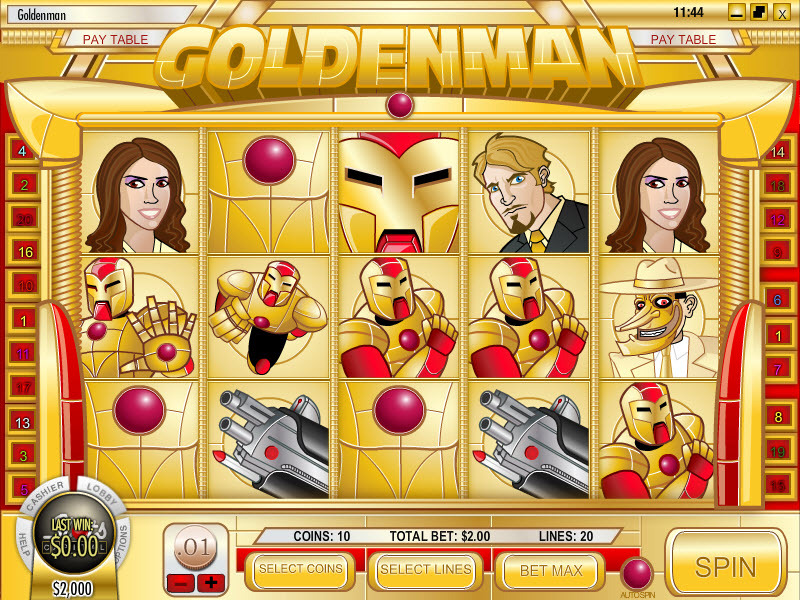 With his arsenal of guns and missiles, Goldenman does battle with his arch nemesis Fool's Gold. In a dastardly plan, Fool's Gold has taken control of a number of military jets. 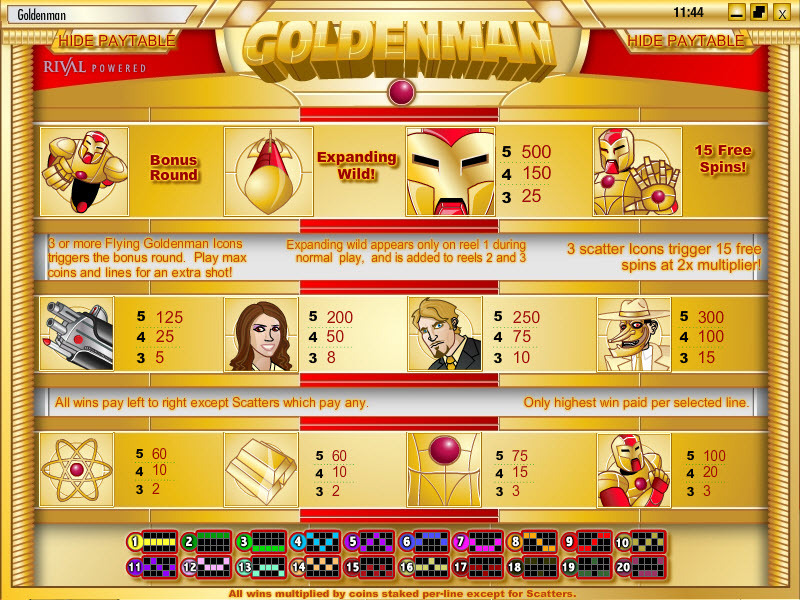 When you hit 3 or more of the Flying Goldenman Icons you'll get the opportunity to shoot down his jets in the Bonus Round. Sometimes doing heroic things saps the power from Goldenman's suit, you may get the opportunity to choose a backup battery for extra coins. Similar Slots: If you like Goldenman, you might like these other Rival video slot machines: A Day at the Derby, Aussie Rules, Dog Pound, Five Reel Bingo, Ocean Treasure, Wild Carnival.